We love to travel and as a family of 4 who have very different tastes, we have found that each of us have some favourite items which we can’t leave home without. My husband is super simple…give the man some swim trunks, shorts and a Hawaiian shirt and he’s happy but for the 2 tweens and I it’s a different story. These days luggage can cost you extra money so we’re pretty strict on what we bring…but there are some items that are just plain worth giving up the luggage space for. Aside from clothing and bathroom products there are some items which I’m not sure everyone thinks of bringing when they’re planning a vacation. We call them our Hacks that make our vacation even better! 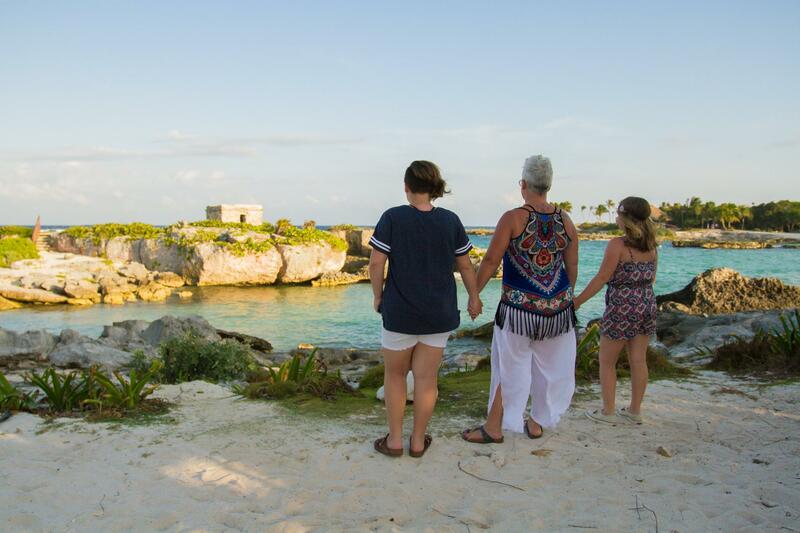 We just returned from a WONDERFUL trip to Mexico where my daughters and I spent quality time in the sun and it was during a discussion there with another family that we realized not everyone thinks of bringing the things we do. As a member of #TeamTelus I often get my paws on some cool accessories that are included in this list. Telus has a WIDE array of devices and accessories so shopping in their online store is always a treat for me. Competitive prices and their out of this world customer service make my life easy when I’m shopping. Yes I’m a fan…as a customer for over 20 years you’d expect me to be gushing right? 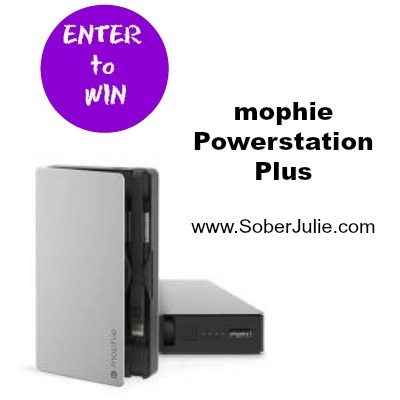 mophie Powerstation Plus – This baby is my FAV! It has saved my virtual life on many occasions while travelling and there are both Andriod and IOS versions. With 4x battery life it’s never let me down! A high-performance design featuring hideaway charge & sync cables and available with a Lightning or Micro USB connector. An additional high-current USB port enables this external battery to charge two devices at once. ULTIMAGE EARS MEGA BOOM BLUE – This is Sydney’s number 1 packing item. She is 12 and loves to bring this speaker with us to the beach or pool area to choose her own tunes! Don’t worry, we don’t annoy the other guests too much. The splashproof design means you don’t have to worry about rain or spills. You can even clean it with running tap water – just don’t submerge it. The other added benefit is that we use it to play white noise in our hotel rooms because of light sleepers. Puregear Selfie Stick – Chelsea adores this Selfie Stick! She can often be found standing in front of a group of friends yelling “say cheese!” with her phone in the selfie-stick. We call it a drive by selfie ala Chelsea. With its bluetooth capabilities, it’s perfect for any device. I reached out to my friends at Telus and they’ve agreed to allow me to giveaway one mophie Powerstation Plus to help you HACK your vacation!!! Are you excited? I am!! Entry is simple, just follow the steps in the Giveaway Tools form below. Open to Canadian residents 18+, excluding Quebec. The winner will have 48 hours to respond via email. I would definitely say my digital camera. I have a small $5 stick power thing that has really helped out in emergencies. This mophie Powerstation Plus would be amazing. The tablets,camera and the cel phone. I always have a decent camera lens and a power stick! My chargers for my iPod touch and Samsung tablet. So many things I can’t leave without – iPhone, charge, earbuds, DSLR, underwater digital camera…the list could go on forever! I must have my digital camera when ever I travel. I travel with my charger and portable speakers most. I travel with my e-reader, it is an e-reader and smart tablet. I usually bring a power charger and cables for at hotel charging. For other tech, my smartphone, camera, tablet and ear buds! I travel with my Ipad mini. I always have to have my iPad and earbuds! Have to have my cellphone and charger. The power station sounds amazing, I’ve trying to decide which one I should purchase for trips & camping! We can’t travel without music & earphones & our little SoulMate speaker! I usually pack the chargers first so I don’t forget. My smartphone is a necessity. charge my phone in my vehicle. My smartphone is my absolute must have. When travel I always get my camera, cell phone & charger.